– Jeff Barker – the Mother Lode Epic pirate, leads a boat across the channel. 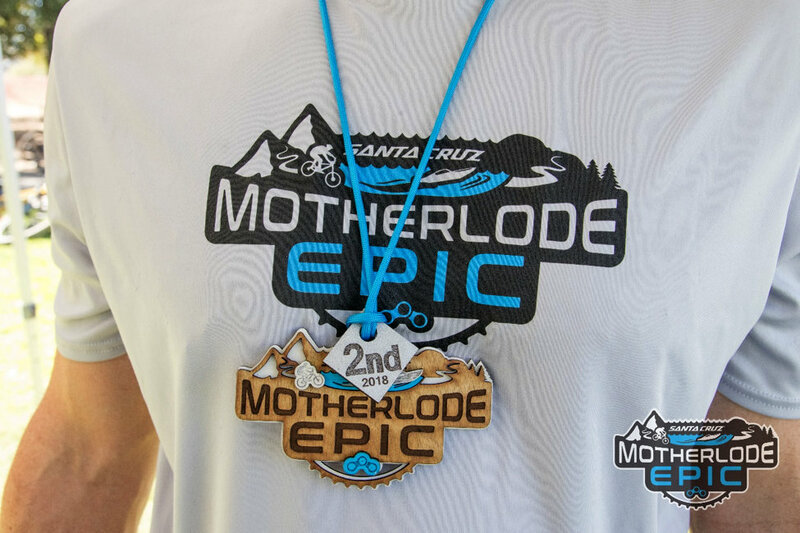 The 2nd annual Santa Cruz Bicycles Mother Lode Epic was held this past weekend on trails just outside of Folsom, CA. Inspired by the path taken by pioneers when gold was discovered in Coloma, CA, the route features four eight-mile stages following the South Fork of the American River from Coloma to Folsom Lake. 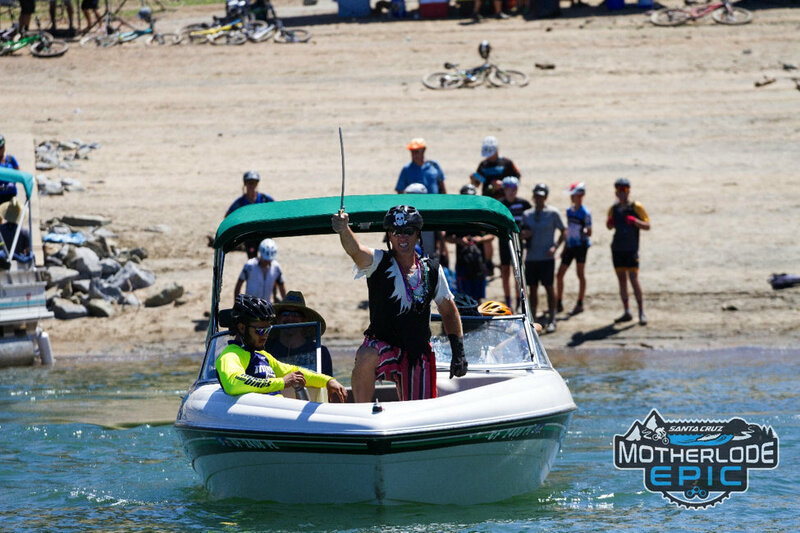 Where riders hop on a boat to the other side before finishing the last stage and ending near Folsom. 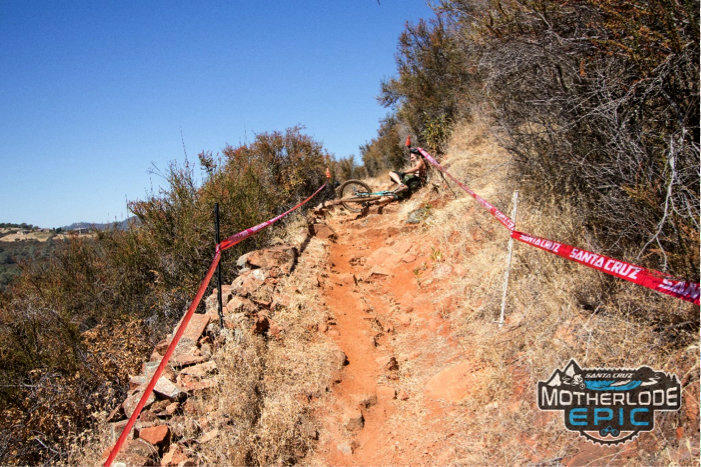 This year, the course also featured three special sections where riders could earn a chance to win special prizes: The “Shimano Speed Trap” on stage two, and a “Reserve Rock Garden” on stages three and four. 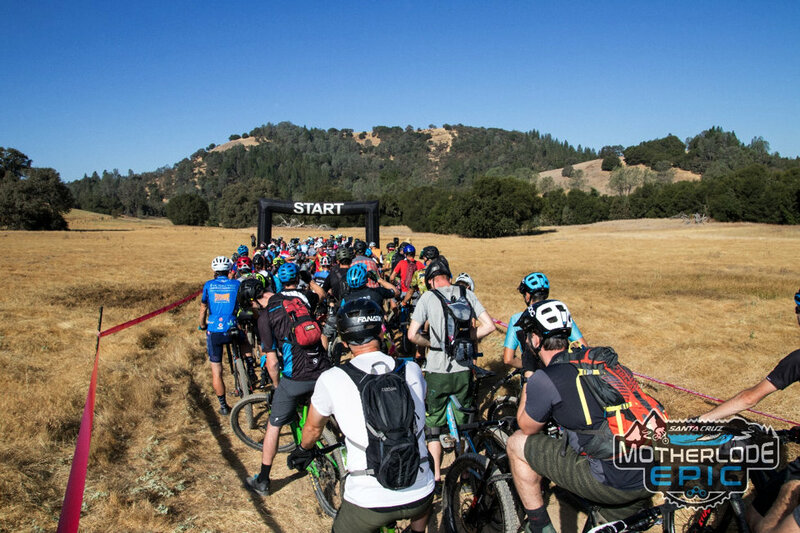 Racers staged to start at Magnolia Trailhead near Coloma, CA. After riders completed stage one, which covered 1300ft of vertical gain in eight miles, the route took riders into Cronan Ranch, where Stage 2 presented the Shimano Speed Trap. Riders started this stage in fifteen-second intervals, giving them the chance to let it all go coming down the West Ridge Trail where organizers had a Lidar gun-tracking their speed. Joey Smith (Mikes Bikes) was the fastest male at 36mph and Stacy Gillis (Eliel Factory Team) was the fastest female at 30mph. Each of them won a brand new set of Shimano XT brakes because clearly, they need them! – Stacy Gillis was the fastest female in the speed trap at just over 30mph. Stage two was a 1600ft overall descent down to where the South Fork American River becomes Folsom Lake at Salmon Falls Road. 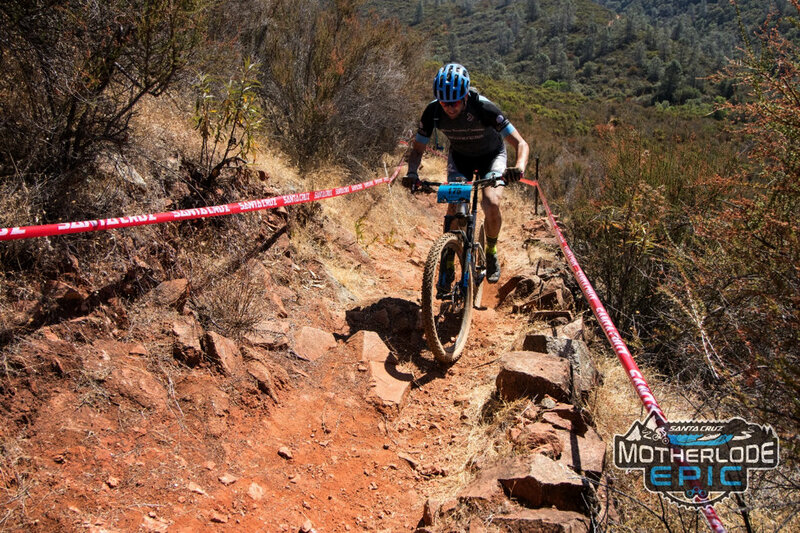 With high-speed descents and plenty of singletrack, it’s a favorite stage for some. The final downhill is fast and rocky with great views of the river opening up into the lake before riders reach the midway point. At this point, riders are 16 miles deep and have the chance to recover at the first fully stocked aid station. Some riders made the choice to go jump in the river and get a proper cooling off since temps were into the 90’s by late morning. 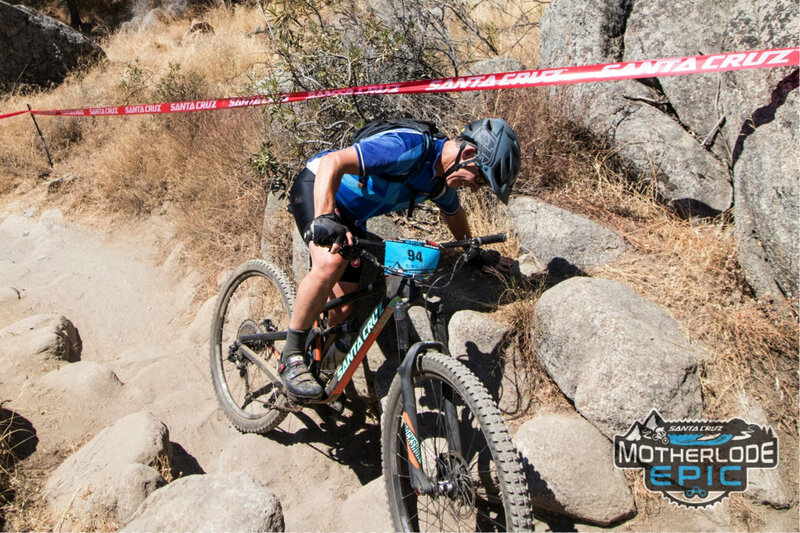 Stage 3 featured the first “Reserve Rock Garden.” Riders who clean this tricky section of the rocky climb that opens the stage earned their spot in a special drawing for a set of Santa Cruz Reserve carbon wheels. After clearing this section they’re out for eight miles of Stage three which is a favorite trail for locals. 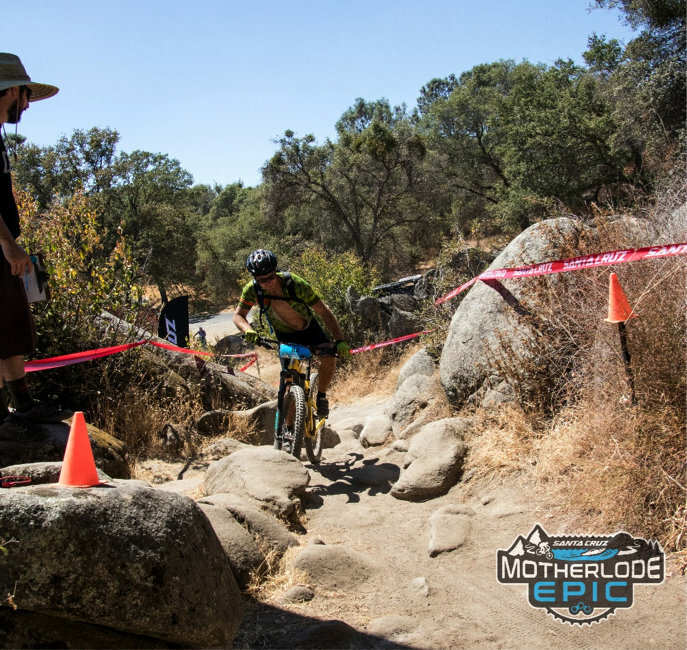 Darrington Trail, or Salmon Falls Trail as its commonly referred, is the most technical stage of the race. Stage 3 kicked off with the first “Reserve Rock Garden”. Dave Brandeberry shows how it’s done. Nearly all singletrack, this trail has bluff exposure along the lake’s edge with rocky, rooty rolling terrain until it connects to Peninsula Campground. A skilled rider can pull back a lot of time at this stage but pushing too hard can bite. Some riders flatted on the sharp rocks or ended up sitting on the side of the trail, cramped on the final climb. 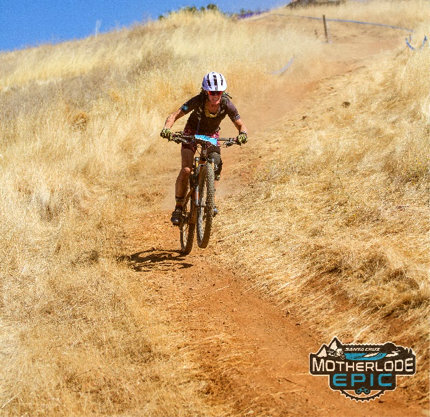 That last ledge of the stage 3 Reserve Rock Garden gets another rider. Awaiting riders at the end of stage three was a mile long transfer on the paved park roads, downhill to the launch ramp where an aid station oasis awaited on the beach. Operated by the Sloppy Moose Running Club, this aid station is a life saver for many. With bacon-wrapped pickles, electrolyte snow cones, margaritas and a DJ spinning vinyl this spot is hard to leave. 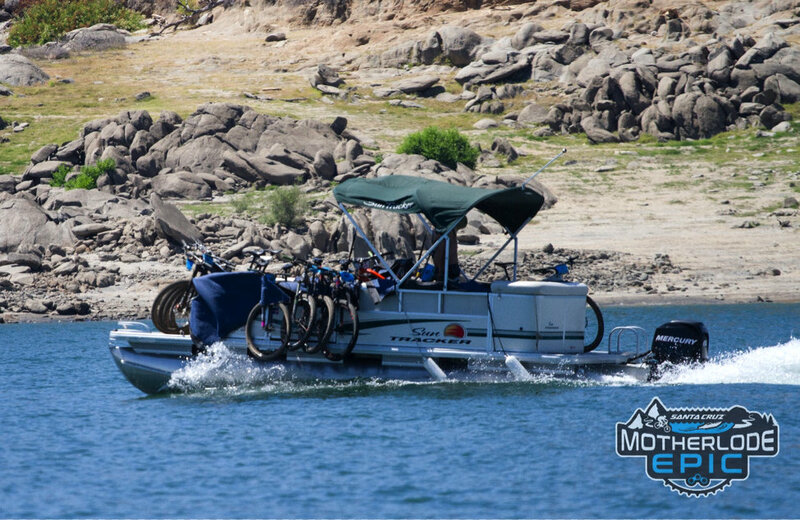 To leave, however, means your bike goes on a boat and you jump on a ski boat for the one mile trip across Folsom Lake. – How many bikes does it take to fill a pontoon boat? With two Fox Transfer dropper seatposts up for grabs, riders were encouraged to make the most of their transfer. 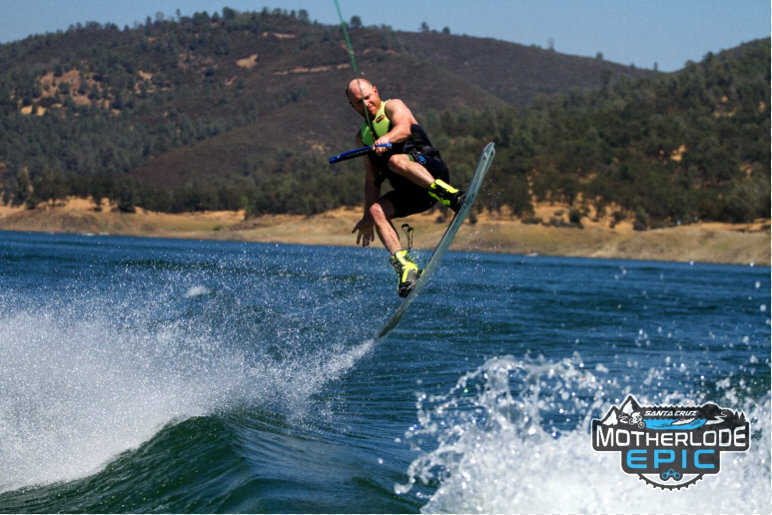 Many took the tow rope for a pull on the wakeboard, but one participant was the standout as he SWAM the one-mile lake transfer after already racing for twenty-four miles! Justin Chappell took to the air and earned himself a Fox Transfer seatpost. Stage four featured the flowing trails on the Granite Bay side of the lake. They’re familiar to many, but at this point in the race, riders notice the deceiving amount of climbing on the gently rolling hills. – A rider reaches the top of Reserve Rock Garden #2. Riders were also faced with the second “Reserve Rock Garden” towards the beginning of the stage. This one had a faster run-in, but the top fifteen feet was the trickiest and caught many riders off balance. An unsuccessful attempt at the second Reserve Rock Garden. Once riders made it to the finish, fresh made pizza and beer from Mraz Brewing Company were welcome sights. Riders sprawled out on the shaded grass and swapped stories of their epic day. With the stage format of the race, the riders who finish early aren’t necessarily the fastest. Quite a few played a “rest long and recover” strategy in between stages and recorded strong times on the last stage. 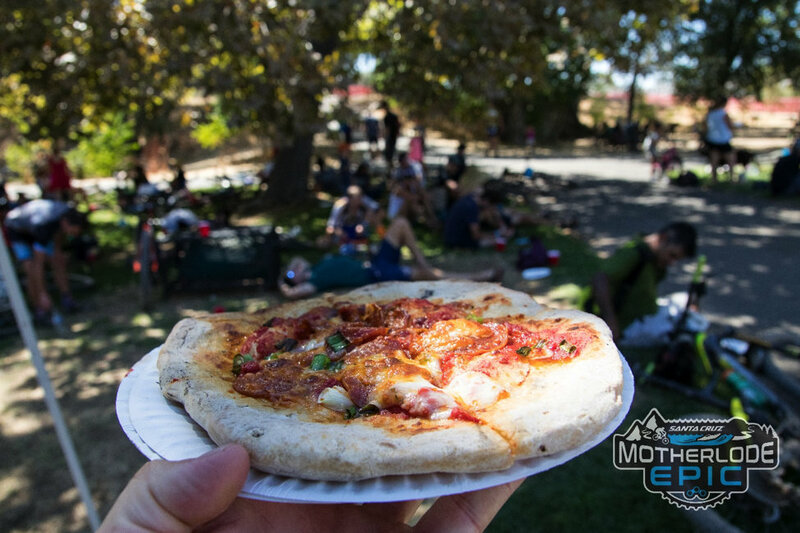 – Fresh made pizza on site, and Mraz Brewing Company beer awaited riders at the finish. 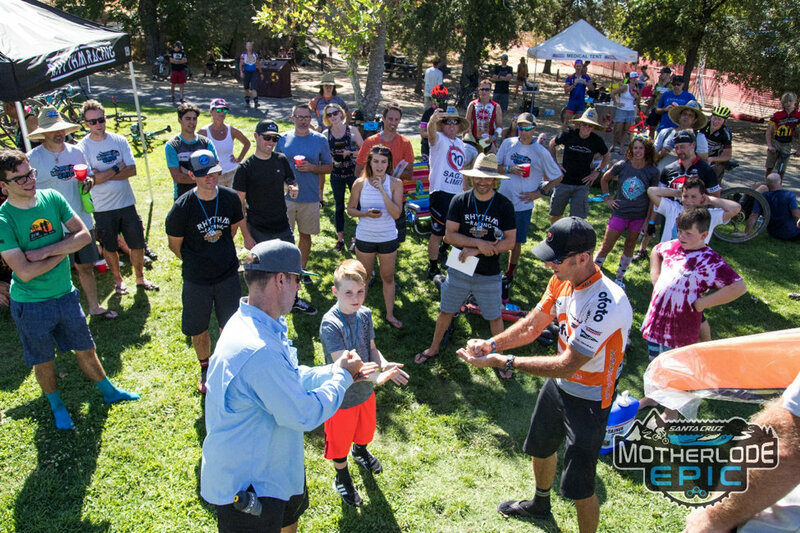 While results were still pending, stage winners were recognized as well as the Shimano Speed Trap and Reserve Rock Garden winners. Also up for grabs to riders who completed all four stages was a Fox 34 Step-Cast fork. 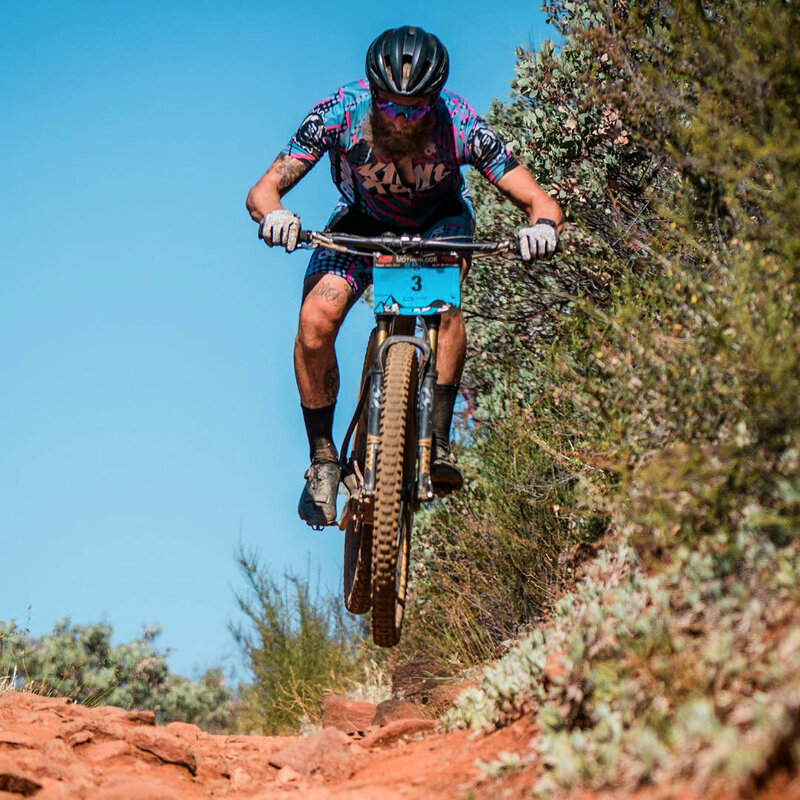 – Jeff Stillwell conquered a Reserve Rock Garden and won the exclusive raffle for a set of Santa Cruz Reserve carbon wheels. 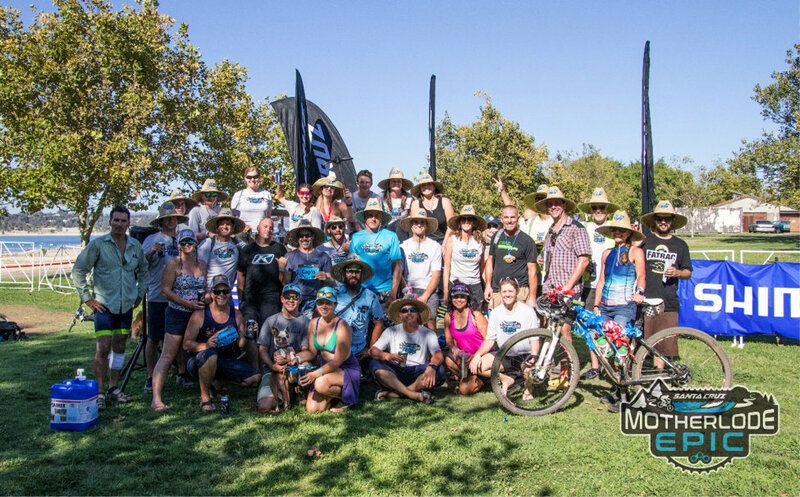 “It’s hard to make a long mountain bike race fun but Clipped In Races, sponsors and volunteers did it right and made a long hot race as fun as possible. SW Photography did a great job running all over the gold country capturing the race. – Mike Lyster – 4th place Sport 41-44. “Great event, super challenging and fun. Super Pro event planning and execution.” – Justin Chappell – Fox Transfer winner. An epic battle of rock-paper-scissors was organized for some Fox prizes. – The podium “medals” were custom engraved wood logos. 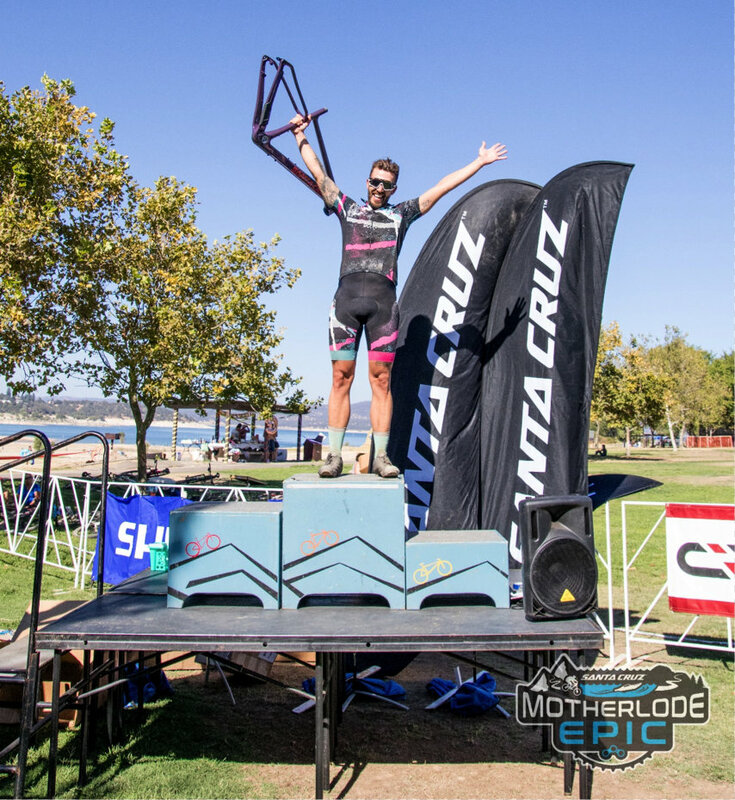 – An unexpected award – the DFL rider, Matt Burdette was surprised with a brand new Santa Cruz Highball CC frame when he crossed the line. 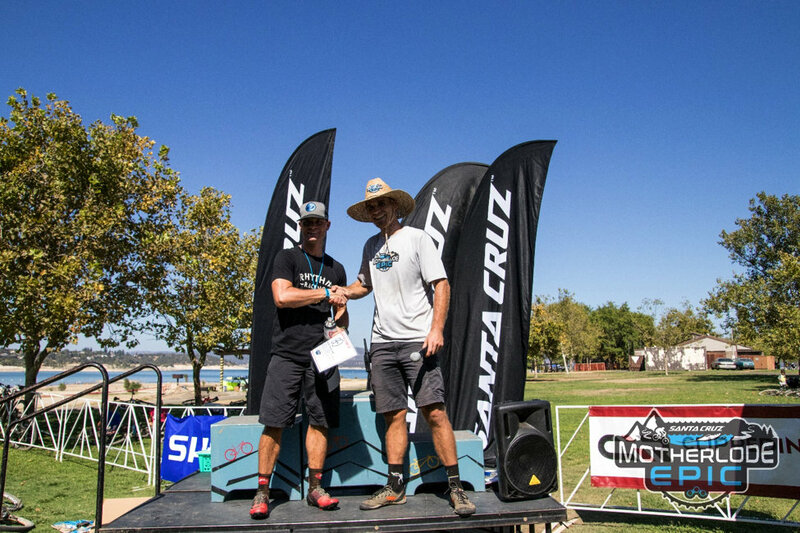 – Santa Cruz Bicycles supplied podium winners with a new set of grips and their carbon handlebars. 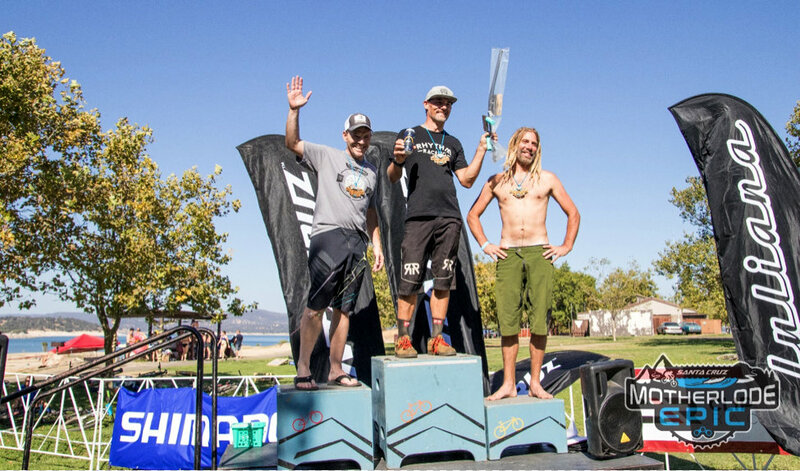 Seen here the sport 45-50 podium, Mike Mraz – 1st, Jason Martini – 2nd, and David Yorgensen 3rd. It took contributions from over 70 volunteers to make this day happen.